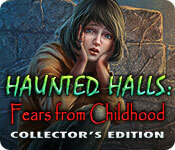 Haunted Halls: Fears from Childhood Collector's Edition is rated 4.3 out of 5 by 41. Rated 5 out of 5 by Lioness901 from A perfect part three HOG The story carries on without a hitch or a glitch. Another brilliant mixture of humor and horror. It's not too difficult nor too easy the gameplay is perfect. I loved the spin on fairytales so creepy just loved it. Rated 5 out of 5 by sapoe from wow! Another great games from ERS. I'm trully having fun and enjoy playing this game 'til end. Thanks dev! Love it and good job, bunny! Rated 5 out of 5 by spiritlaughing from Wonderful! Enjoyed this one as much as the first one! Lovely graphics, very interesting game play and story line. 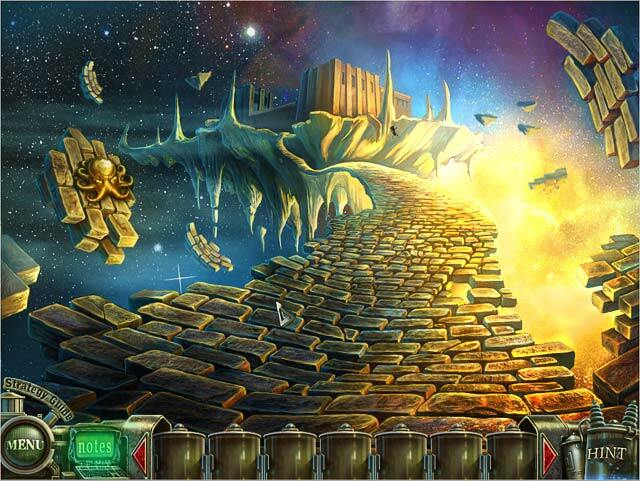 Plenty of puzzles, some easy, others take a bit more brain power. I felt like I was having to rush around to save everyone, but really it's a good play that takes you to different spheres which keeps you guessing about just where everything is. I throughly enjoyed it! It's fun to open a door and step out into space which turns out to be a different spot of earth than where you just were. Rated 5 out of 5 by ajhart1975 from A wonderful sequel to Haunted Halls: Green Hills Sanitarium CE We continue from HH:GHS as a recap in the notes and away you go, this is just as weird and eerie as HH1 but still just as fun, not for the kids of course. There are some lovely puzzles and the same old crazy ways to stop Dr. Blackmore with his awesome tentacles, and his diabolical plans. First rescue the Children from their scary and sometimes quite understandable fears. And then save Tim... Again. Rated 5 out of 5 by rosekaufmann from JUST RIGHT and NOT SO SHORT AFTER ALL Quite a few reviews said the game was short, so I kept debating whether to buy it. I’m glad I did; it didn’t disappoint at all. Just the main game took 4 ½ hours on casual – just the right length for me; then add the bonus play for more than another hour. STORYLINE: 5 children, each with their own nightmares and fears, have been captured by Dr. Blackmore who is feeding off those unique fears, which many of us suffered from as children. Each child’s story is well thought-out and is a stand-alone, so the end of each is a good “take a break” spot. GAMEPLAY: Very polished. Right amount of difficulty – not too easy and not so difficult as to be exasperating. Is generally easy to figure out what to do next as there are a limited number of scenes for the intro and each child. Environments are unique to each child – and it doesn’t feel like the same story is being told 5 times with only slight differences. HOS are not too crowded and are nicely sized. Each has their own type of nightmare. Nice mix of HOS with puzzles. Right amount of difficulty – not too easy and not so difficult as to be exasperating. Fun gameplay. Stories are unique and easy to follow - no getting lost in backtracking. The funniest thing that happened in the game: you have to kill 3 vicious plants. After axing the first plant to death, a second plant unexpectedly eats the axe. What a chuckle for an otherwise serious subject. Game well worth the money. Rated 5 out of 5 by sshelget from Fun Game Although I enjoy Hidden Object games with other mini-games, sometimes I find them frustrating - like getting stuck and not knowing where to go next or how to use the tools I've collected. Or constantly backtracking. Or some of the mini-games are sometimes too complicated. With this game, I only got stuck once (where I needed to look up some cheats). Other than that, I was able to solve every mini-game except two. So the game was fun for me - challenging but not maddenly frustrating. I enjoyed playing this game. 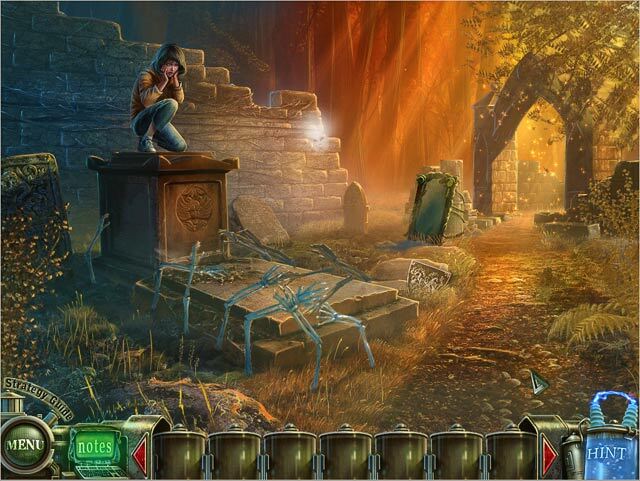 Rated 5 out of 5 by rainbowtree from Haunted Halls: Fears from Childhood CE Outstanding game. Graphics are beautiful. Voices are pleasant. Puzzles are challenging, but enjoyable. 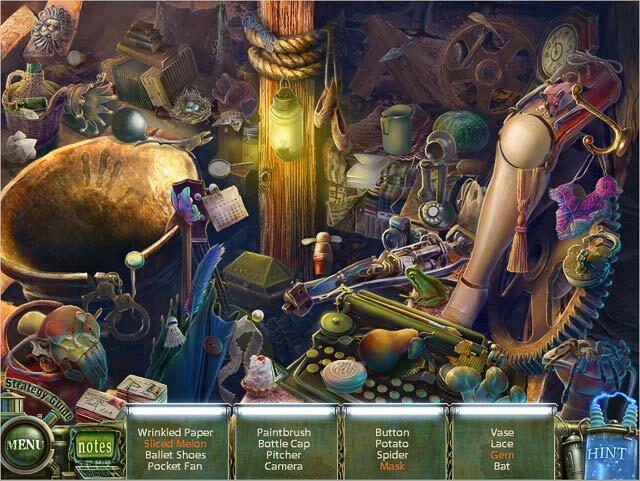 Good mix of adventure and hidden object scenes. Interesting storyline that keeps you playing to save all the children. Good closure. Rated 5 out of 5 by neilskinut from Good as the first on I bought this game because of Green hills sanitarium was so good and was not disappointed. Story line is good and the game has a good flow. I have started buying the CE because of the bonus extras that give you the rest of the story. Nothing to difficult to understand. Rated 5 out of 5 by cuorips from an excellent game Very clear, wonderful graphics, very surreal, a bit sick, great puzzles, HO are great , lots of fun.They thought hard on this one ! Rated 5 out of 5 by IdahoForever from My New Favorite Game This is an incredible game! The story speaks to the human soul and our fears, whether logical or not. It also speaks to the part of us that wants to crush those fears, in a heroic way. The overall storyline has several adventures, and each one is a complete story by itself. The graphics are magnificent. And it has a feel-good ending. I've already started playing it again. You'll need the strategy guide: it's a challenging game. Explore Dr. Blackmore’s latest experiment in a Haunted Halls: Fears from Childhood, a terrifying Hidden Object Puzzle Adventure game!